Don Cuny, a lifelong activist of the American Indian Movement and Lakota tribal member, raises his first in Standing Rock's symbol of defiance. Echoing the sentiment is a young Water Protector heading to the front lines of the protest. 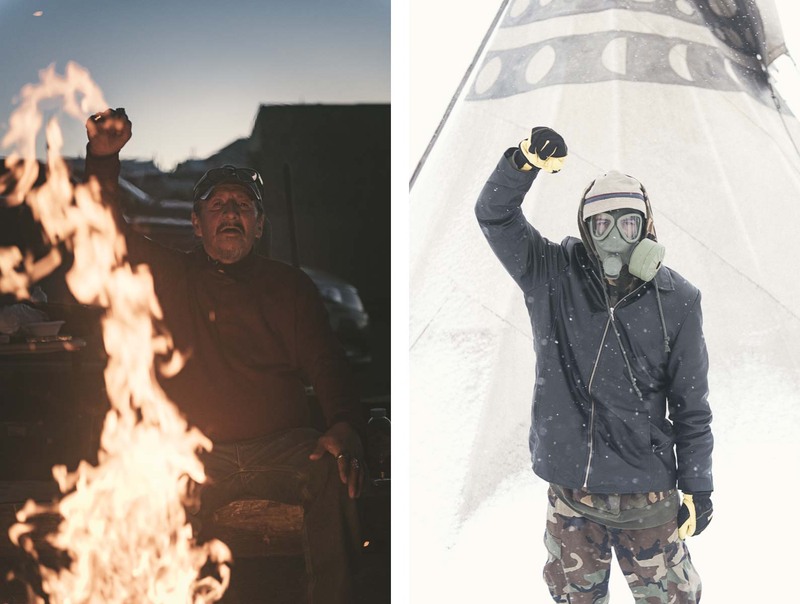 Although the battle at the Standing Rock reservation is against the Dakota Pipeline project, its major victory has been to turn the world's attention to the story of indigenous rights.